Discover a more efficient way to clean your home with this fantastic Beldray click and connect cleaning set. Made from strong steel, the telescopic handle extends up to 1.2 metres so you can reach further into corners and underneath furniture. With fantastic mop, duster and broom heads included you can attach and detach any head effortlessly and it takes up little storage space. The set has everything you need to give your floors a thorough clean, it is an essential for any household. 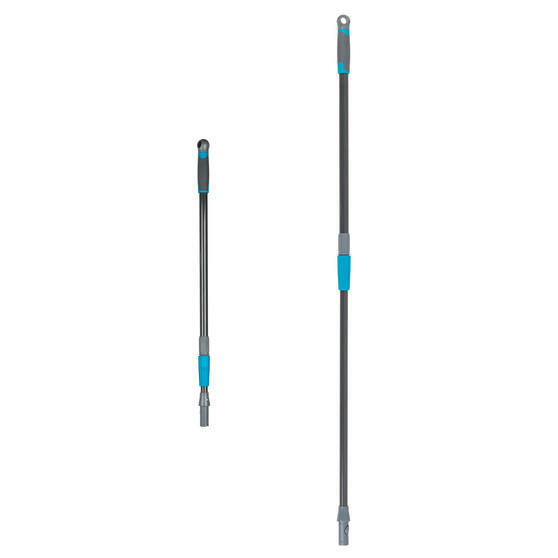 The fantastic extendable handle allows you to adjust to suit your height and you can extend easily to get to those awkward areas. 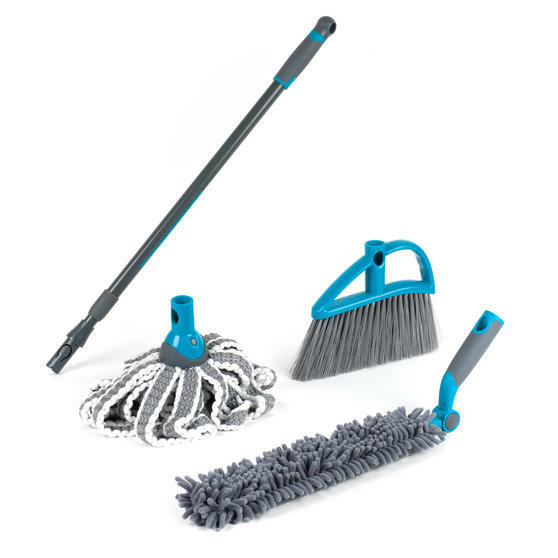 Featuring an easy to use click system to attach to the handle, both the microfibre mop, duster and broom heads can be attached easily. 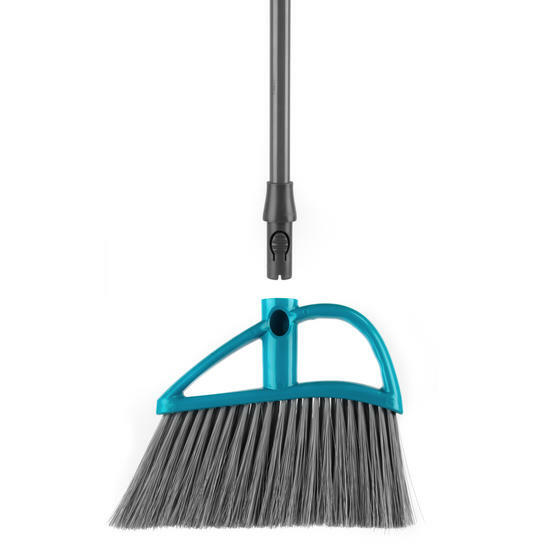 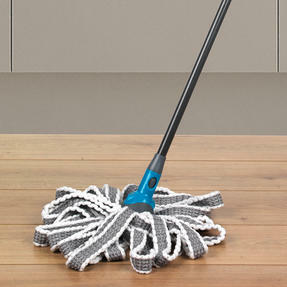 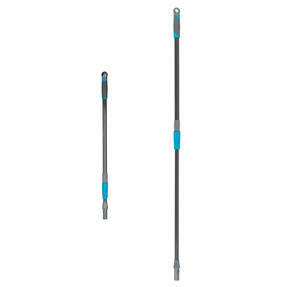 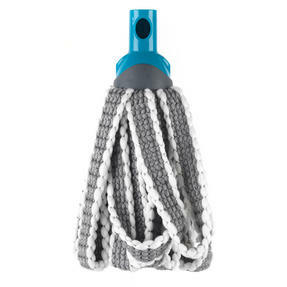 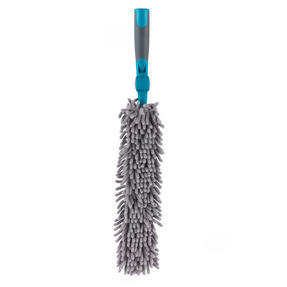 The microfibre mop head picks locks in dirt, containing it rather than pushing it around the floor, guaranteeing an effective clean. 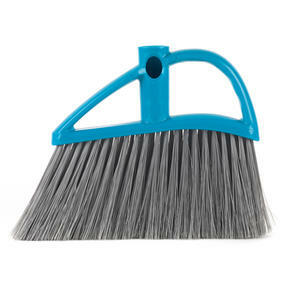 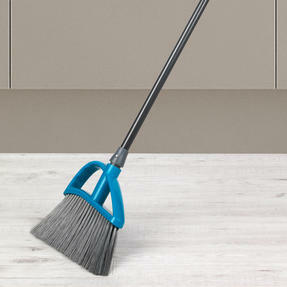 The long bristles of the broom head are soft and flexible, able to dislodge and collect any dirt or dust from hard floors in your home. 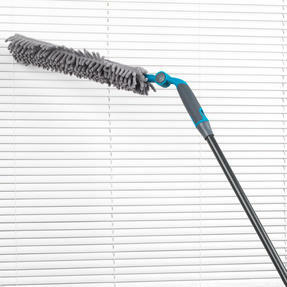 Angled for a better reach, the soft duster head can be used on any surface and will protect your furniture from scratches.